Robinsons Caravans is a family-owned business who has been trading in the caravan industry for over 54 years. Based at two sites in Chesterfield and Worksop and serving both Derbyshire and the Nottinghamshire region, we offer a complete collection of new and pre-owned touring caravans for sale, from premium brands including Lunar, Swift, Bailey, Elddis, Sprite and Venus, along with Robinsons very own dealer special, the Lunar Ultima. We also showcase the latest caravan accessories and awnings at both of our branches and on our online shop, where you'll see some of the top names such as Bradcot, Isabella, Ventura, Kampa and Vango. tap, fit some solar panels or get some caravan chassis or bodywork done, you can rest assured that our technicians continue to receive ongoing industry training so they are qualified to take on any work and complete it to the highest standards possible. 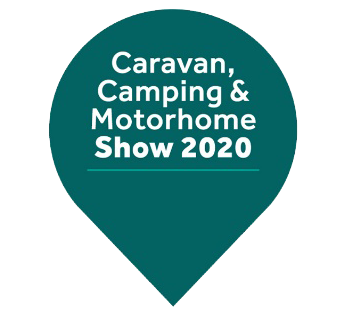 Discover the perfect caravan for your needs and browse through the different models, makes and sizes available here - at prices to suit all budgets. Whatever your requirements - we are here to ensure that your journey from the moment you speak to us to the point of purchasing your dream caravan is as simple and straightforward as possible. Our helpful and knowledgeable team of caravan specialists are always at hand to offer the best advice along with the aftersales support that will ensure your experience with us is second to none - even after you've left our dealership.